The Orange Roamin´ Elks is a Lodge Camper Club that was established on July 6,1984. 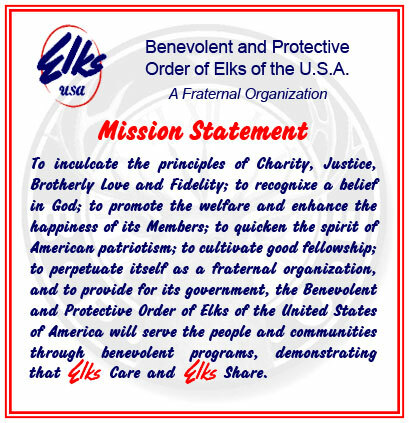 To be a member of the Orange Roamin´ Elks you must be a current member of a Southern California Elks Lodge. We have one camp out a month, usually on the 3rd weekend of the month and can travel up to 100 miles. We have "dark" months when there is no camping, currently during May, July, August, and December, subject to change. Anyone may attend one camp out as a non-member to visit before joining the club. Our annual dues are $25.00, payable by March 1st of each year. Meetings are held on the first Friday of each month at 7:00 p.m. in the lodge room, unless otherwise specified. All guests are Welcome!! We have one fund raiser a year at the lodge which is our Chili Cook-Off. This event is held on the last Sunday in the month of October. 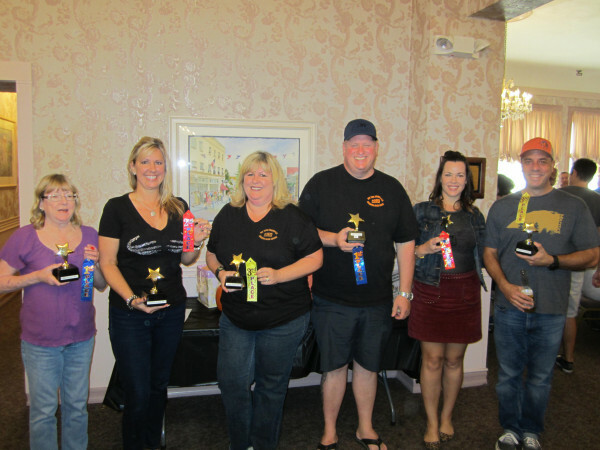 The Chili Cook-off has both Mild and Hot entries, with awards for First, Second and Third place handed out in both categories. The May campout was such fun! 22 rigs left home for that LONG drive to Canyon RV park. We joked about having to stop for rest on the 15 minute drive from Orange. Janet/Rod Cornelison and Carolyn/Jerry Pierce were the hosts and served up a Cinco de Mayo celebration. The common area was decorated and we wore hats and costumes to add to the theme. Margaritas and Mexican beer were a welcome site as it was a very warm weekend. The hosts served tacos and the fixings and then we needed a Siesta … as earlier in the day we had a hosted breakfast as well. They certainly outdid themselves and we all had a great time. The Sheriff and Deputy were on the prowl for minor infractions and found so many fines that we had to play a game to determine how much we had to pay. Marilyn Dinger and Terrie Schatz put on Ten gallon hats and we had a corn hole playoff for the charity pot. The winners were Art Randal and Janet Cornelison. We raised $156 in fines for the day! Super thanks to those great ladies! The past year has been great fun in the Club. A gigantic thank you to Terrie Schatz for leading the club with her presidential skills this past year. We look forward to another wonderful camping season with Lisa Randal.